Every year, countless new medical treatments are tested, approved, lauded, and implemented throughout the country. But what happens when those treatments are later found to be ineffective? In an article for The Atlantic, David Epstein finds that many remain in use, despite widespread evidence that they don’t work. Epstein focuses much of his article on stent placement operations in stable populations. Since its introduction in the 1980s, the treatment has become incredibly common, even though significant evidence over the last 10 years has established that it does not result in decreased risk of heart attack. “The latest assessment in more than 1,600 hospitals across the country concluded that about half of all stent placements in stable patients were either definitely or possibly inappropriate,” writes Epstein. The article cites several reasons for the continued use of medication and medical treatments after they’ve been proven ineffective. Here’s what they found. Approaches to care are based on what a provider learns in medical school, making widespread change something that happens over generations rather than in real time. Patients intent on certain treatment options often shop around until they find a provider willing to offer it. Financial incentives encourage providers to conduct procedures even when they’re not necessary. Part of the problem is a deep-seated belief in the power of modern medicine over improving health through behavior change. “The health problems that most commonly afflict the American public are largely driven by lifestyle habits — smoking, poor nutrition, and lack of physical activity, among others,” notes Epstein. To truly impact health, patients and providers alike need to put more emphasis on the potential benefits of healthy diets and exercise. From dedicated care teams to empathetic listening practices, this eBook shows how Vera’s commitment to behavior change unfolds in the real world. Learn about the obstacles patients and providers face when trying to cultivate behavior change in traditional healthcare systems. 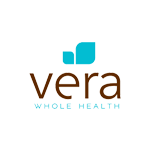 At Vera Whole Health, providers use an evidence-based approach to care that reflects current research regarding medications and treatments. In addition, Vera providers do not reap financial benefits from procedures, removing the incentive to offer patients procedures they don’t need. Most importantly, Vera utilizes dedicated care teams that include a provider, health coach, and medical staff, who empower patients to improve their own health through behavior change. Together, care teams offer a comprehensive evaluation of a patient’s health issues and work with a patient to create a personalized care plan that addresses the root cause of the issue, not just its symptoms. The result is a reduction in unnecessary treatments and improved health outcomes stemming from positive behavior change. 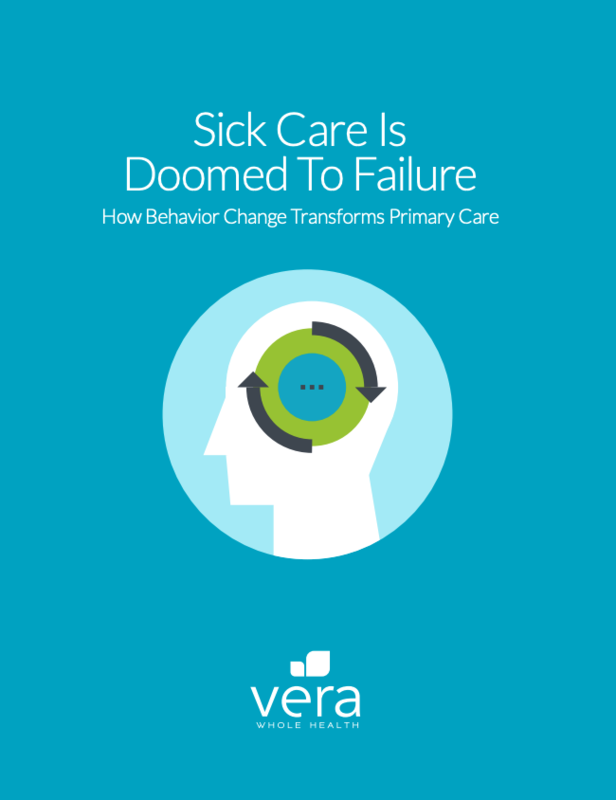 Learn more about Vera dedicated care teams and their role in changing behavior in our new eBook on Behavior Change.